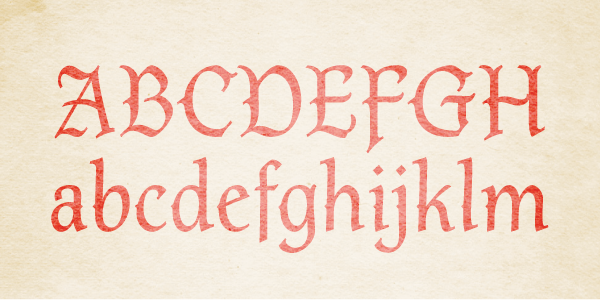 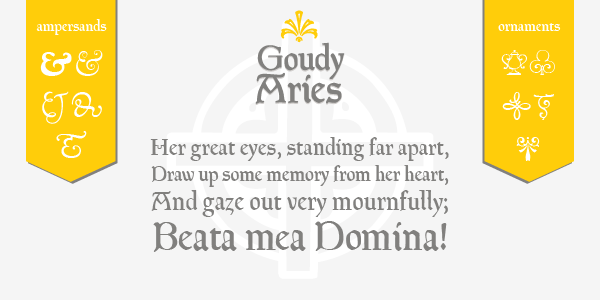 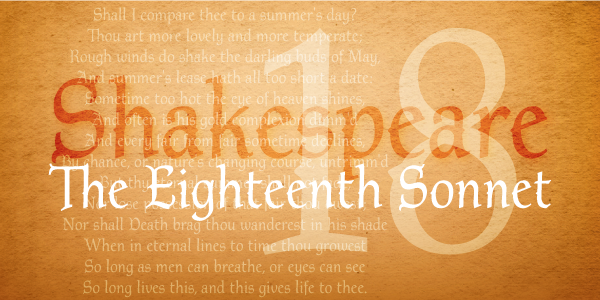 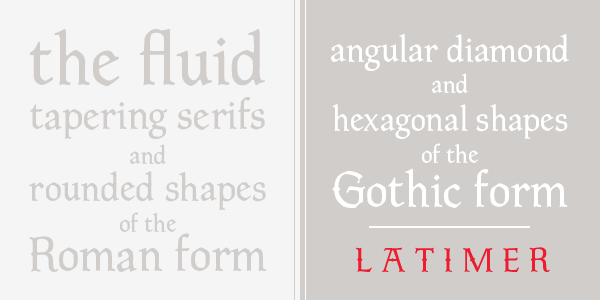 Ridley is a calligraphic-influenced, decorative, medieval font combining Roman and Gothic forms. 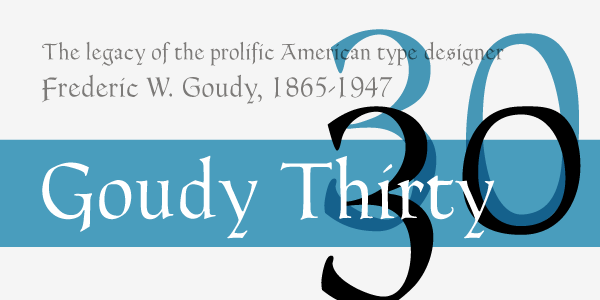 It is named for Nicholas Ridley and similar to the P22 Latimer font. 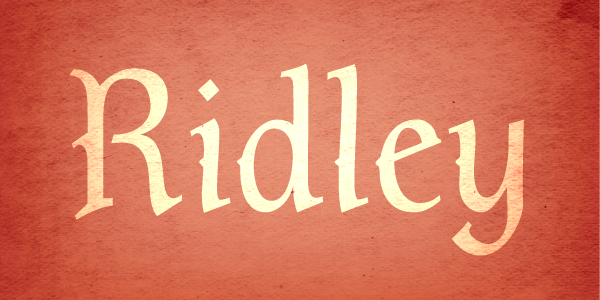 Ridley and Latimer were protestants burned together at the stake in 1555 during the reign of Queen "Bloody" Mary.